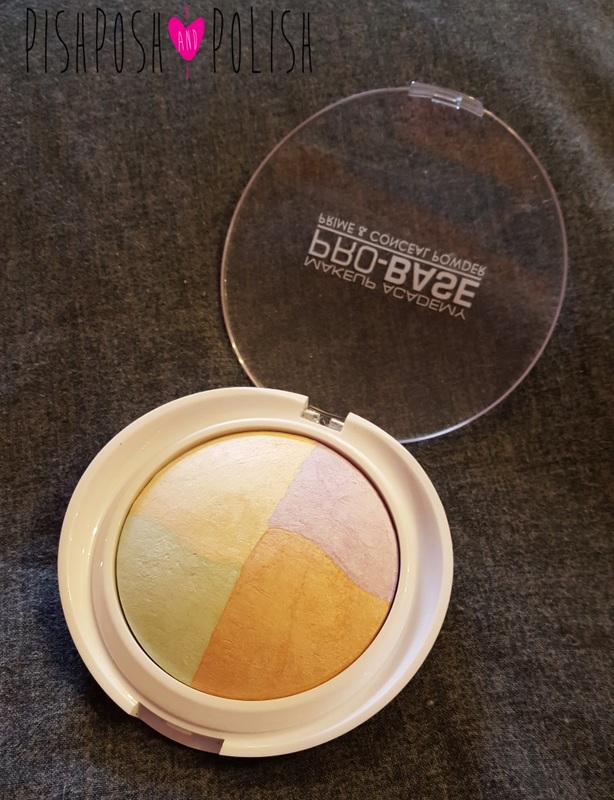 Colour Correction is all the rage, but honestly it is a minefield I saw this MUA powder in Superdrug and thought it would be worth a try as it looked pretty easy to use with 4 colours in one and the fact it is a correcting powder rather than correcting concelaer. How pretty and inviting does this look? MUA Pro-Base Prime & Conceal Powder comes in a clear and white plastic compact, which to me makes it look clean and very professional and not as cheap looking as some of the other products in the range. 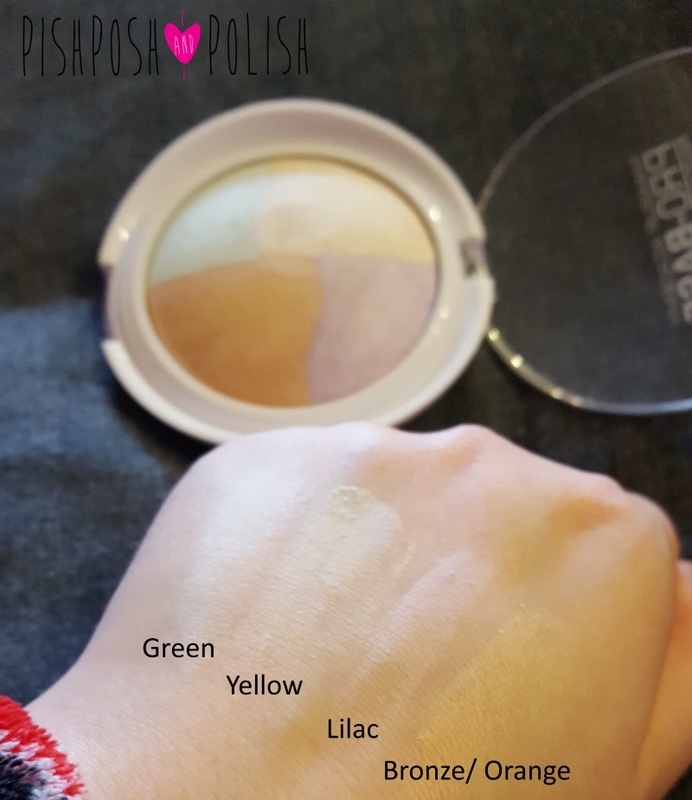 The powder is sectioned into quarters, you have a yellow tone for contering darkness, purple/lilac to counter sallow skin, green for redness and this bronze/orange tone (they call it peach but I find it is much darker than the other shades and has more of a shimmer) which is also to counter darkness. This is a baked powder and a fine shimmer can seen throughout, although when on the skin this doesn't really translate. This is great as it makes it look more radient and not to harshly matte on the face. This mineral based powder is made mostly from natural mica and is milled very finely so it is very smooth and silky on the skin too. Even though the shades look quite pigmented in the pan when you apply them they are actually quite subtle. I really has to pack the product on in my swatches so you could see the colour clearly. 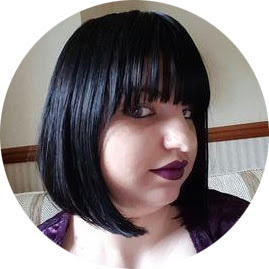 This means that the powder can be used in two ways, you can sweep a mixture of all four colours all over your face or use certain colours in targeted areas to help correct the face. 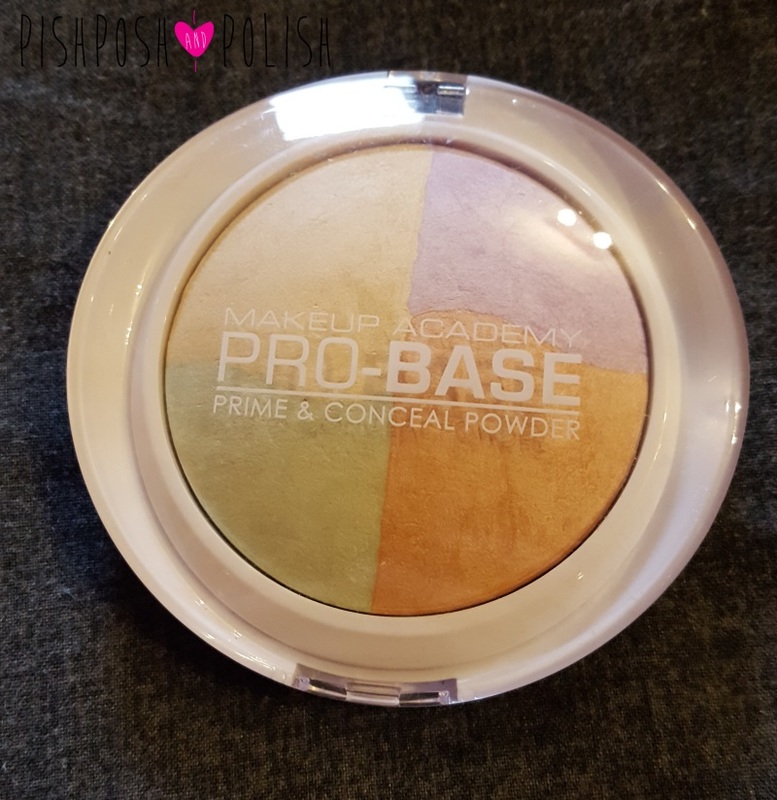 On the skin this looks similar to a translucent powder, mattifying and setting your makeup without adding lots of colour. I beileve this does counter some colouring in the face, espically when wearing a more ntaural/ lighter base product when some of your natural skintone and pigmnetation can be seen through. But what I like more about the product however is how it adds a suntle illumination to the face, amking it seem more healthy and bright. If you want a quirly powder this is certainly worth a try, it is a lovely feeling product and great fro brightening your face. If you want to take the first steps into colour correction this is product for you!